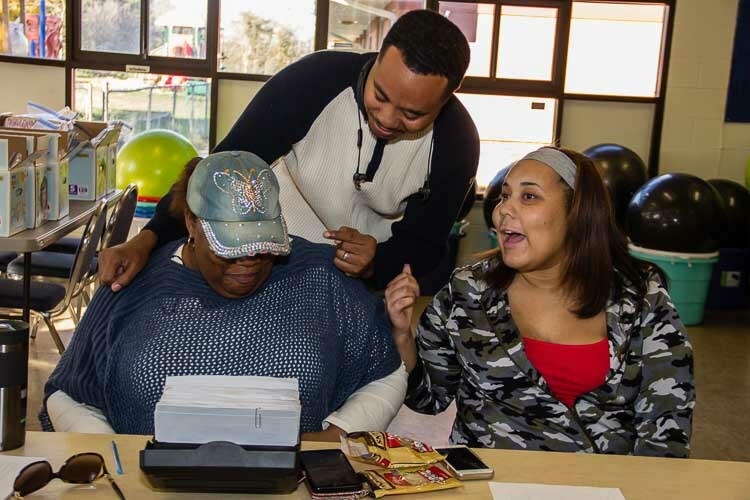 A drive through his old neighborhood prompted Dr. Michael Glass to start a program that has been the catalyst for a lot of positive activity at Parkway Manor in Washington Heights. More than 276 residents live in the 98 apartments of the complex that received a major boost in the late 1970’s from the late Dorothy Young, a housing inspector with the City of Battle Creek. 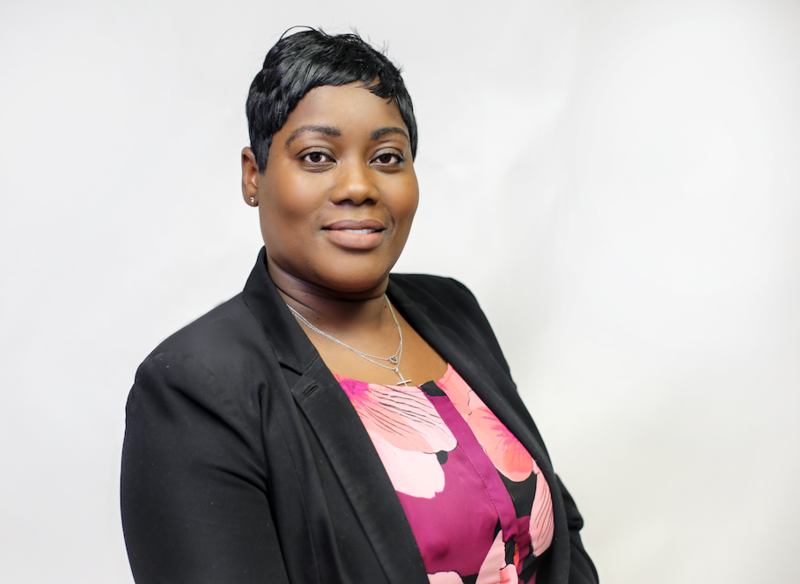 She spent years trying to improve housing conditions in Battle Creek and is credited with turning the Parkway Manor apartments into a place fit for all and working directly with low-income families to give them the housing they needed. After recognizing the possibilities for the underused building, Glass connected with residents to see what they saw as their biggest needs and he was surprised by the answer he got. “I had an idea in my head,” he says. “I thought about bringing in food. I went door-to-door and asked residents what they needed. The common theme was diapers. So, instead of doing what I thought they needed, I did what they wanted. 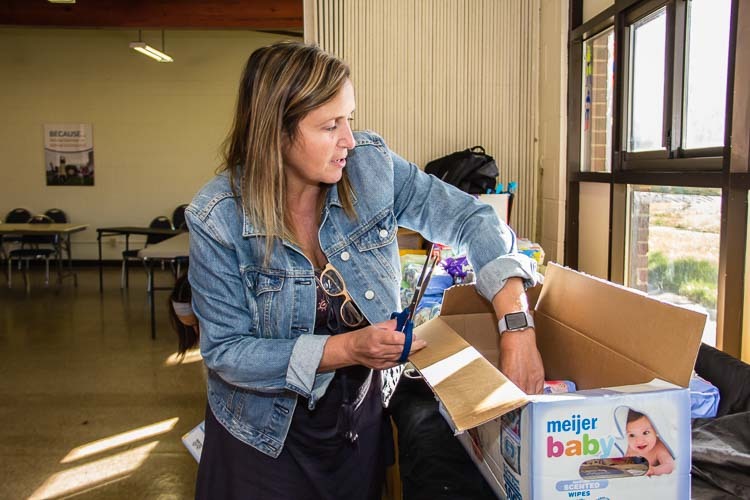 Using his own money, Glass began a monthly diaper distribution -- The Battle Creek Diaper Network -- that provided diapers and diaper wipes to anyone in need, no questions asked. An average monthly supply of diapers costs approximately $80 according to the National Diaper Bank Network. Officials with the NBDN say that the only federal assistance program that can be used for diapers is Temporary Assistance for Needy Families. TANF has to cover many other expenses, including heat, electric and water bills, rent, clothing, transportation, and other basic needs. And while having access to an ample supply of diapers may not seem like it has much to do with a child’s overall early developmental success, it does, according to the NDBN. Denise Rucker, Dr. Mike Glass, and Aliyah work together during a recent diaper disribution at Parkway Manor. Photo by Susan Andress. This is what prompted Rep. Keith Ellison, D-Minn., and Rep. Rosa DeLauro, D-Conn., to introduce the Hygiene Assistance for Families of Infants and Toddlers Act of 2017. The proposed legislation, which now is in committee, would make available federal grant funds for states to create, administer and evaluate innovative programs that provide access to one of the most basic needs of every infant and toddler--clean diapers. Glass says he thinks there are misperceptions about why people rely on a diaper distribution program. People mistakenly believe these parents are unable to manage money or that they have the wrong priorities. “Those above that cost of living threshold don’t recognize the pressures being experienced by those living below that level,” he says. The program is open to anyone, not just Parkway Manor or city residents, and Layne says they’ve served people from Kalamazoo and Athens. Once word got out that Glass was donating diapers, his patients, community residents, and businesses and organizations, including the Southwest Michigan Dental Association, got behind the program. Glass says he was spending close to $750 each month. Now so many people are willing to help that he hasn’t had to buy diapers and wipes out of his own pocket for more than a year. Rucker, a Washington Heights resident, began volunteering with the diaper distribution program in 2016 at a point when she was not working. Her first interaction with Glass came about when she decided to host a Halloween party at Parkway Manor before she knew of his involvement in the diaper distribution program. “One of my friends threw one a couple of years prior and it was outside and it was fun, but we froze to death because it was so cold,” Rucker says. “I wanted to do something that was inside so we wouldn’t have to be cold. I reached out to Dr. Glass’ assistant to see if he or his office willing would be willing to come out to the event and pass out healthy snacks and treats and free toothbrushes. 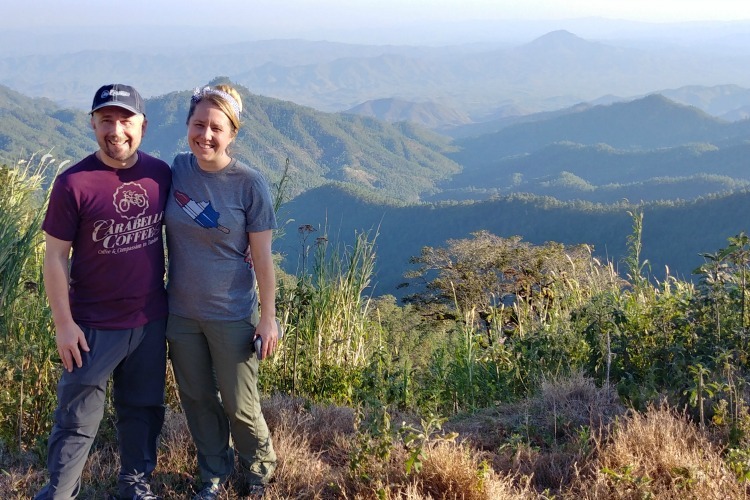 “We ended up meeting and I found out what he was doing with diapers.” By the time 2017 rolled around Rucker had started working a little bit more with the program, started finding donors, and was writing grant proposals. “I was trying to free up his (Dr. Glass’) pockets,” Rucker says. Donations began coming in from nonprofits such as the Battle Creek Community Foundation and the local Women of Impact giving group as well as the local KIA dealership, she says. Kathy Szenda Wilson, executive director of BC Pulse, helps at a recent diaper distribution. 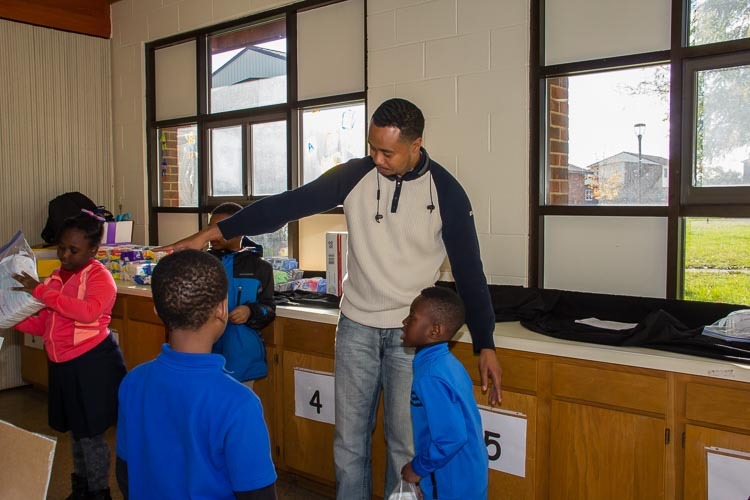 Photo by Susan Andress At the beginning of the year, Rucker says, the Parkway Manor program was serving anywhere from 30 to 50 families. The number of families coming in to get the free diapers and wipes has increased every month since the program started. In September, 86 families were served and 133 packages of diapers and 86 packages of wipes were distributed says Angie Layne, a BC Pulse project coordinator. “When June hit that increased to between 50 and 90 people. We want to make sure we keep up with ones that are repeats and people moving in,” Layne says. As Rucker’s volunteer role expanded to include more of the program’s administrative work, she was hired in September by BC Pulse. Layne says the growth of the program was one of the reasons Rucker was hired. The resources BC Pulse provides for the diaper bank are among many programs it offers. The organization’s major focus is ensuring that the community is doing everything possible to ensure that each child has equal opportunity to experience quality early learning, health, economic security, safety and nurturing care. “The biggest charge at BC Pulse is increasing access to the early childhood system for underserved residents and improving the quality of supports that are available,” says Layne. Dr. Michael Glass talks to the young helpers who are working for a merit badge at a recent diaper distribution. Photo by Susan Andress.BC Pulse is focusing on Parkway Manor because of its partnership with Dr. Glass and the Battle Creek Housing Commission, said Kathy Szenda Wilson, executive director of BC Pulse. 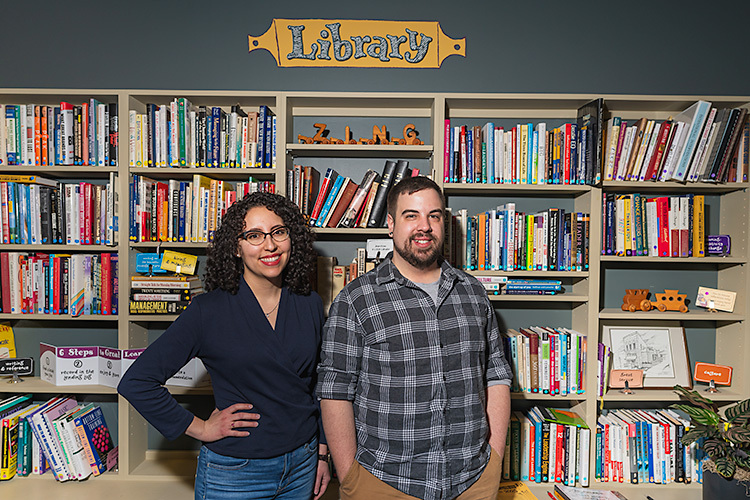 “BC Pulse partners with anyone interested in supporting families with young children, including Michigan Works, the WIC program, the Boy Scouts, Early Childhood Connections, the Department of Health and Human Services, Centering Parenting, and Willard Library,” Szenda Wilson says. Layne says every effort is being made to get these partners into Parkway Manor. As these partnerships continue to grow, Glass’ vision of the diaper program creating additional activity at Parkway Manor is coming to fruition. Szenda Wilson credits the activity surrounding that program as the catalyst for monthly free community dinners for residents, a food pantry, fitness classes, reading classes, and a new program for teenage girls called “Her Name is Hope” which had its first meeting Oct. 20. 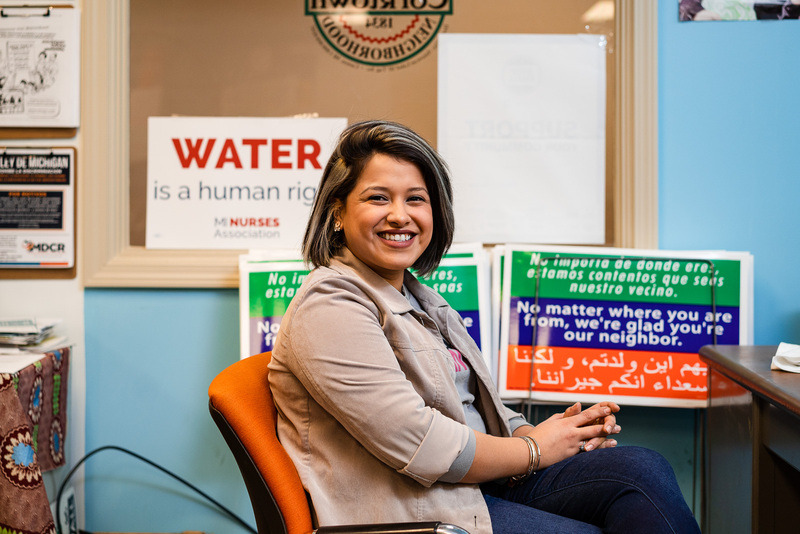 She says organizations that can provide resources have said in the past that it is a challenge for them to connect with the people who need their help. The diaper program gives them the opportunity to connect and make their services available. “It’s starting with the diapers, but we want to get as many resources there (into Parkway Manor) as we can,” Layne says. And the potential for the future is encouraging. Available resources may include a laundry facility, or more recreational opportunities or around-the-clock childcare for parents who work a second or third shift, Rucker says. For more On the Ground Battle Creek Stories, please follow these links.